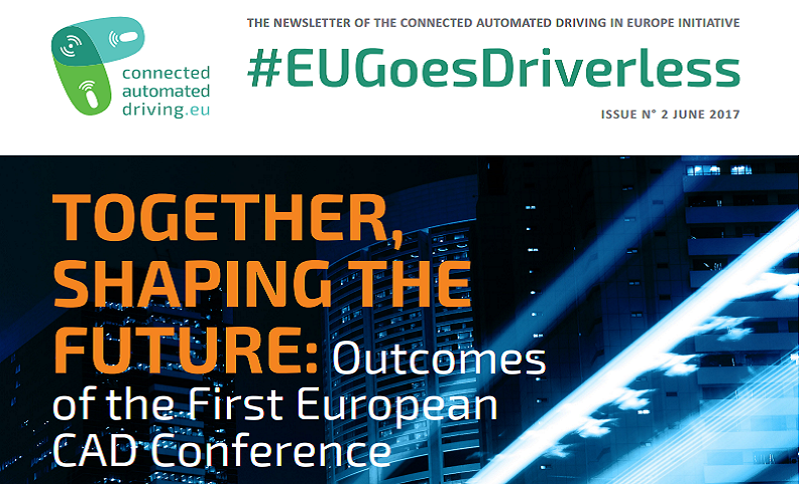 The Connected and Automated Driving in Europe Initiative has published the second issue of the #EUGoesDriverless quarterly newsletter. The newsletter provides you with updates on issues related to the mobility of the future and guide you through the world of connected and automated driving. 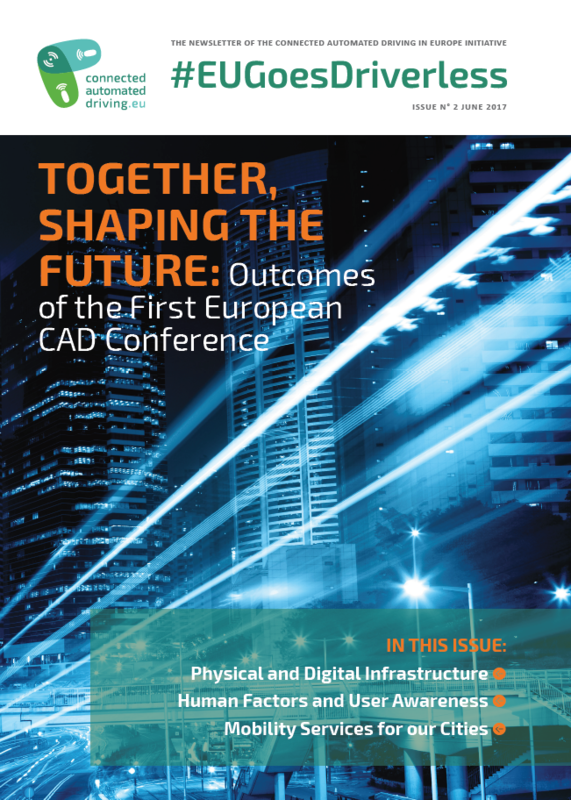 Entitled “Together, Shaping the Future”, this second issue presents the outcomes of the first European Conference on Connected Automated Driving, which took place on 3-4 April in Brussels. The first issue of the newsletter can be found here.